The Greenway Trail is located off of Route 615 in the Craig City area of New Castle, at the intersection of 3rd Street and Commerce Street. From the Kiosk the trail runs for approximately .95 miles to the Trail parking area located at the McCleary Elementary School. The trail is constructed of fine gravel that utilizes the old C&O Railroad bed. 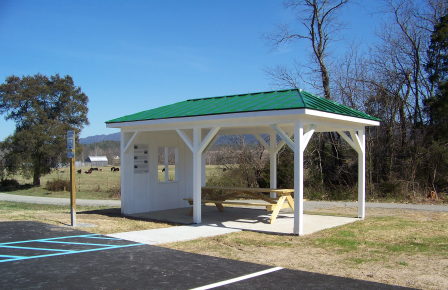 Walkers, bicyclists, and joggers will enjoy the trail that passes open farm fields, wildflower meadows and a beautiful tree canopied stretch running along Craigs Creek. The trail provides excellent opportunities for bird watching, photography, nature education, walking and running. 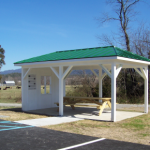 Historic information about the C&O Railroad is located at the Kiosk along with a relaxing shaded picnic table for a family outing. 9:00 am Craig County Fall Festival @ Main Street, New Castle, Va.
Craig County Fall Festival @ Main Street, New Castle, Va.